and learn about programs that occur throughout the country. Join Blake Kohn, Executive Director of the National Network of Schools in Partnership in a conversation with Abby Williams of United to Learn and Laura Day of The Hockaday School. Hear how their partnership, based in data, is transforming the way Dallas is approaching service in early childhood education. Blake Kohn, Executive Director of the Nation Network of Schools in Partnership talks to Rachel Klein. Rachel is the DIrector of Service Learning at Riverdale Country School in New York City. 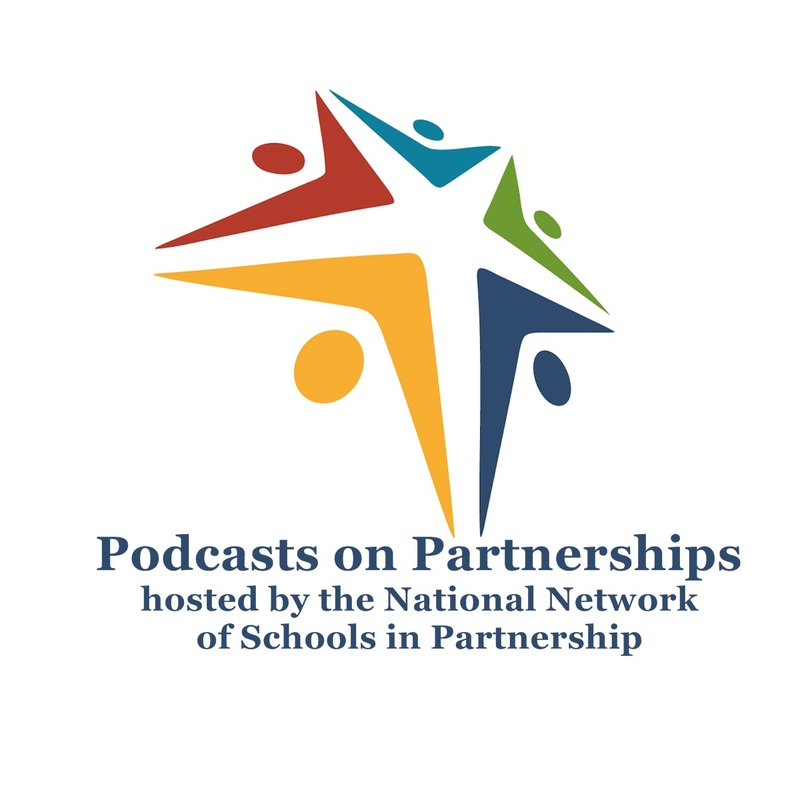 Listen to hear their conversation run from the variety of community programs Riverdale invokes in their K12 school to their developing views on service hours and how to properly recognize students who go above and beyond in this work. A conversation with Glenn Whitman, Director of the Center for Transformative Teaching and Learning at St. Andrew's Episcopal School in Potomac, MD. Hear how their Center meets the mission of their school and the needs of schools across the country and see if you can figure out when our conversation was interrupted by a fire drill! Blake Kohn hosts a conversation with Sanjli Gidwaney of Design for Change US. Hear how Design for Change is providing opportunities for teachers and students to use design thinking to make social change. It is innovative, fresh and fun. Just like our chat! Blake Kohn, Executive Director of the National Network of Schools in Partnership, speaks with Daniel Harris about the Equity Exchange. Hosted at John Burroughs School in St. Louis, MO, the Equity Exchange brings together K12 educators from public, private and charter schools for a week in the summer to talk about issues relating to diversity, equity, and inclusion. A conversation between NNSP Executive Director, Blake Kohn and the Executive Director of Westminster's Center for Teaching, Bob Ryshke. Learn about the growth of the inspiring professional development collaboration between the Atlanta independent school, Westminster School, and Drew Charter School.